Pro-life President Donald Trump took Democratic U.S. 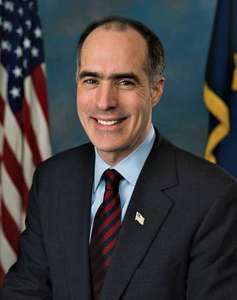 Senator Bob Casey to task for failing to support Supreme Court nominees. At a packed rally in Wilkes-Barre Thursday, the President noted that Casey vowed to oppose his Supreme Court pick–even before the name of the nominee had been released. Previously, Casey–who has an 80 percent pro-abortion voting record–opposed Judge Neil Gorsuch for the High Court. This, despite Gorsuch’s stellar record and qualifications. Now, Casey is standing squarely against eminently qualified Judge Brett Kavanaugh for the Supreme Court. In sharp contrast, Pennsylvania’s other U.S. Senator, Republican Pat Toomey, supported both Gorsuch and Kavanaugh. Kavanaugh is a strict constructionist who has vowed to refrain from making laws from the bench. He is dedicated to the principle of preserving the Constitution, and not reading into it “rights” which do not appear there. This entry was posted in General and tagged Bob Casey, Donald Trump, Pat Toomey by maria. Bookmark the permalink.